Chinese entomologists discover the world’s largest flying aquatic insect – and it is bigger than our face! Just to be clear – this is no Chinese conspiracy. 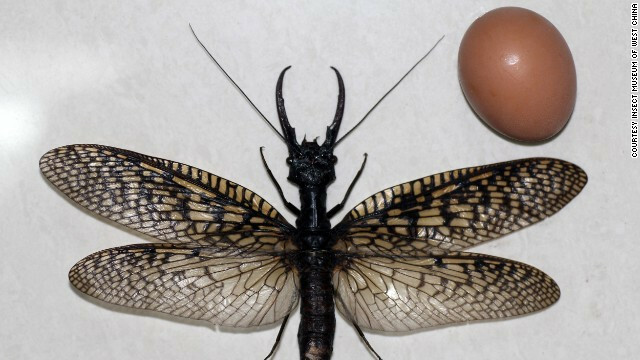 According to officials from the Insect Museum of West China, the above pictured ‘hell spawn’ is actually the world’s largest flying aquatic insect, and it has been discovered in the outskirts of Chengdu, the provincial capital of China’s Sichuan province. 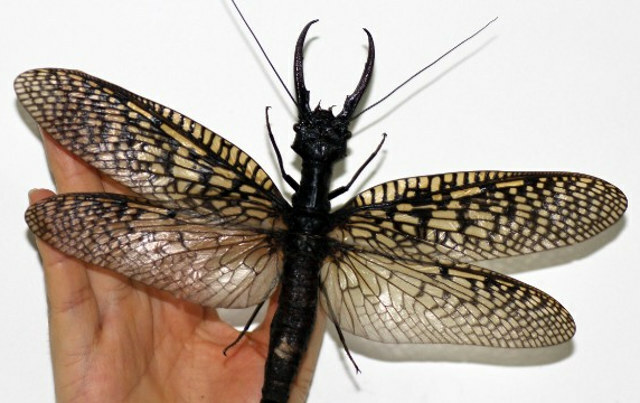 From the scientific perspective, the entomologists found the ominous organism to be an unusually large specimen of the the giant dobsonfly, an insect which is only found in the eco-systems of China, India and Vietnam. In that regard of size, the monstrosity measures 21 centimeters (8.27 inches) across its wingspan, which is scarily large enough to cover the entire face of an adult human. And, for those who are interested – it has beaten the previous record held by the South American damselfly by around 2 cm. 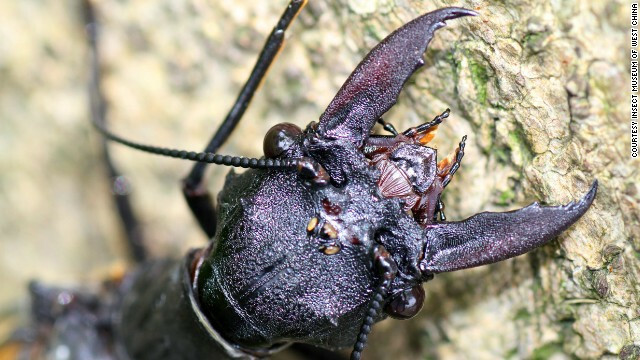 Ironically, those threatening pincers at the end of the insect’s mouth are ‘too big’ to actually harm human beings. That is because the male critters normally doesn’t possess the physical capacity, and thus the leverage required to penetrate our skins. Anyhow, this fascinating exploration has also lead to another ecological disclosure – and that entails the purity of water. The museum researchers have gone on to say how dobsonflies tend to only make their habitat in clean water; and even a slight alteration of the water’s pH balance can turn away the aquatic insect. This perhaps explains the discovery of the organism in a relatively sylvan surrounding, as opposed to a strictly urban environment.